Join us every Saturday & Sunday, from 11am-4pm and enjoy our delicious Latin-inspired brunch dishes and tropical cocktails! 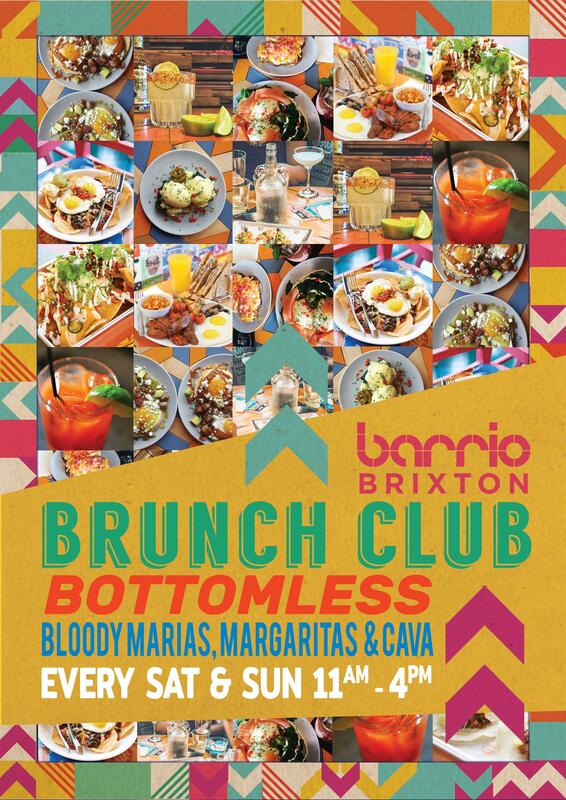 The Barrio Brixton Brunch is now bigger than ever before! Join us every Saturday & Sunday, from 11am-4pm and enjoy our delicious Latin-inspired brunch dishes and tropical cocktails! Like it boozy? Why not upgrade to our Bottomless option for 90mins of unlimited Bloody Marias, Breakfast Margaritas & Cava for only £25pp?! See you south of the river.